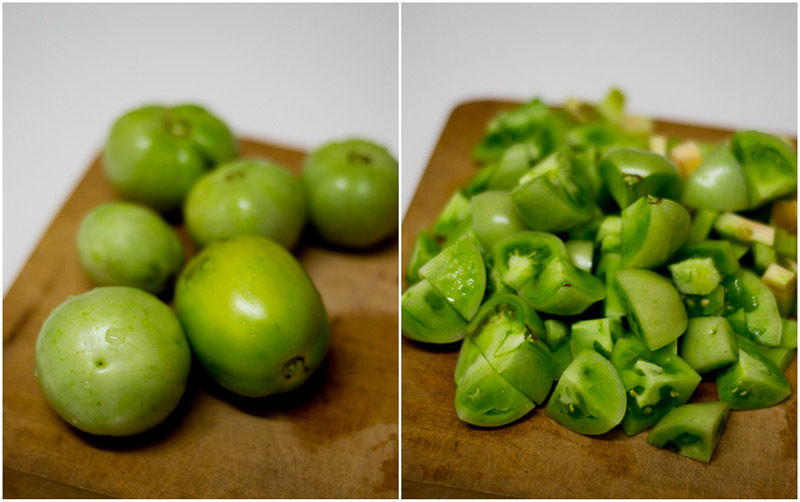 Recipe for green tomato chutney. 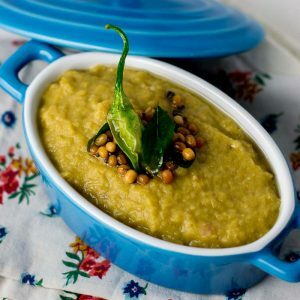 Spicy chutney made with unripe tomatoes. 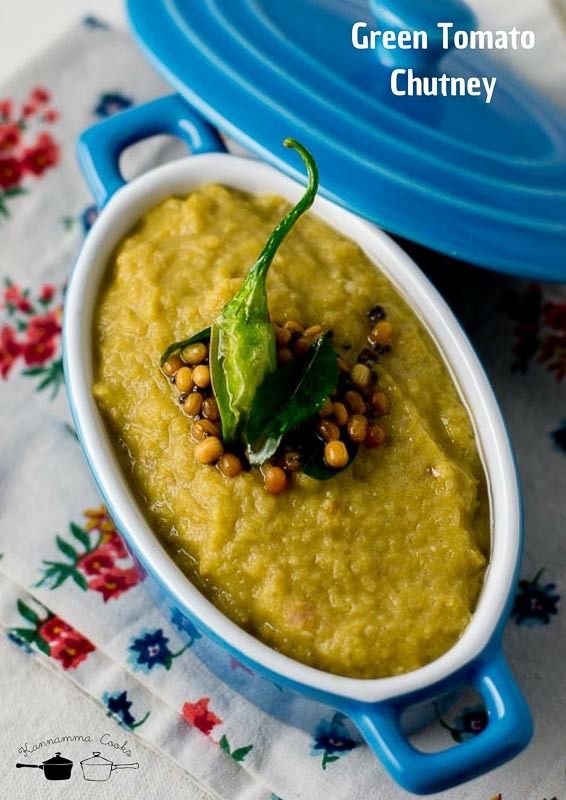 Thakkali kai chutney recipe with step by step pictures. I got this recipe from my my SIL Maithra. We were harvesting tomatoes from the farm last year and my SIL had joined too! She got so excited for the unripe tomatoes. She told me that her friend Shyla makes the best green tomato chutney. We had the conversation and I totally forgot about it. Its now summer here in Bangalore but the heavy rains have played havoc to my tomato plants this year. Its been raining almost everyday now. The tomatoes refuse to ripen due to the rains and the absence of the hot sun. Dear god, its not rainy season. While I love the rains, its been so unusual this year with rains almost everyday now in Bangalore. I brought home some green tomatoes and made Shyla’s Green tomato chutney. I am glad I did it. This is the first time I am cooking with green tomatoes. Its slightly tart and very different from the usual tomato chutney. Roughly chop the green tomatoes. 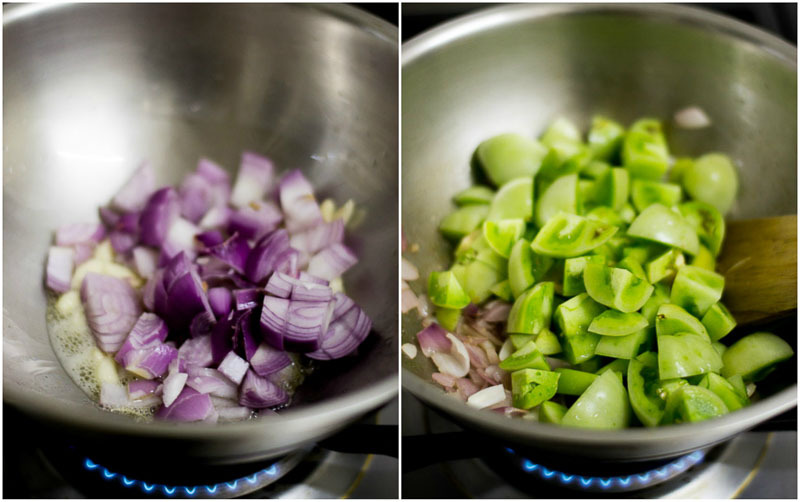 Heat Sesame oil (Indian Gingely Oil) in a pan and add in the garlic and the onions. Saute till the onions are soft. Add in the chopped green tomatoes. Add in the green chillies, salt and the tamarind. I also add a teaspoon of jaggery to round out the taste of the chutney. 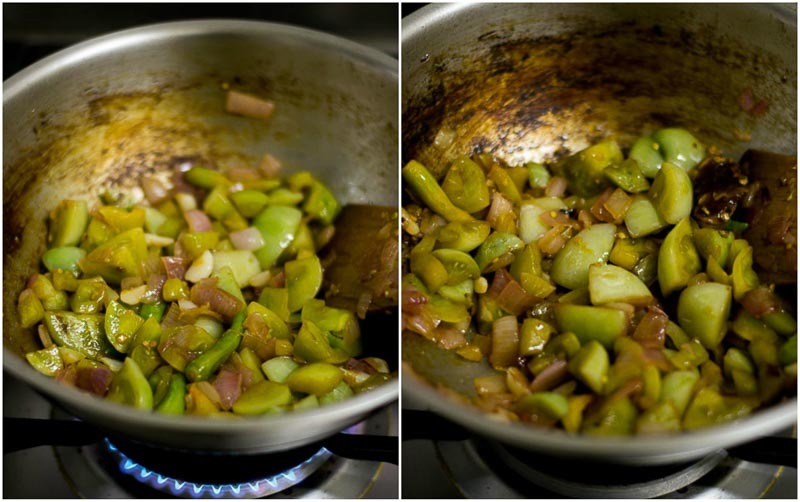 Saute the chutney till the tomatoes are soft and the onions are brown. It will take about 10 minutes on a medium flame. 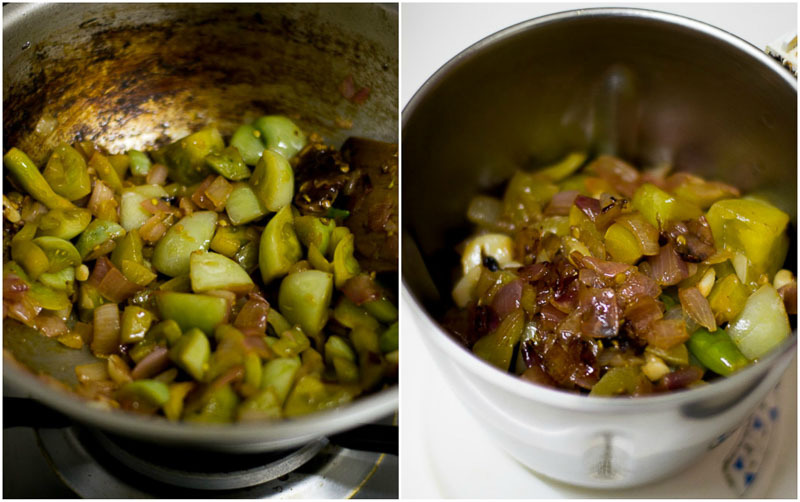 Set aside the chutney to cool and grind to a paste. No need to add water while grinding. 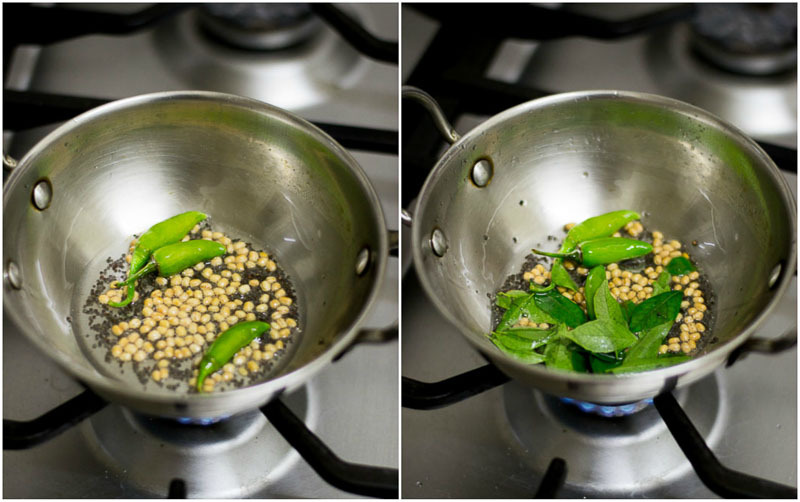 Heat sesame oil in a pan and in the mustard seeds and urad dal. Let the mustard seeds crackle. Add in the curry leaves and green chillies. Let the curry leaves crackle up a bit. Add the tempering to the chutney. 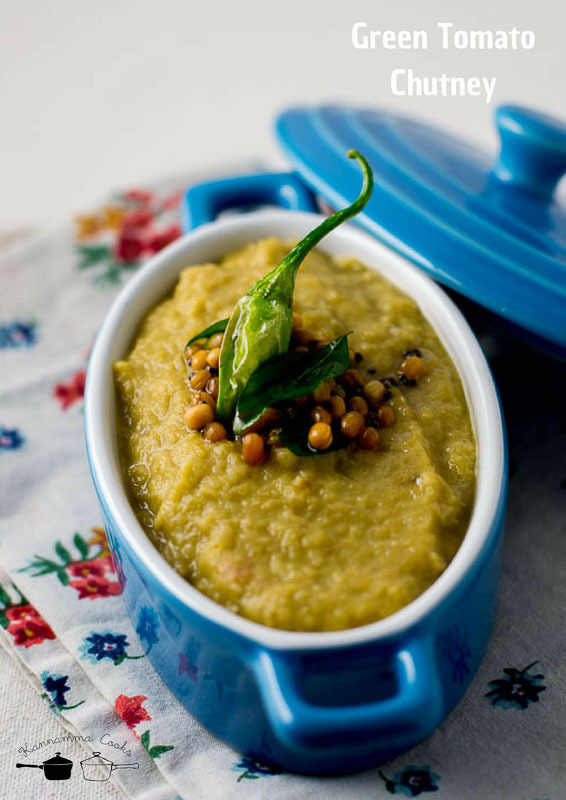 Serve with idli or plain dosa. 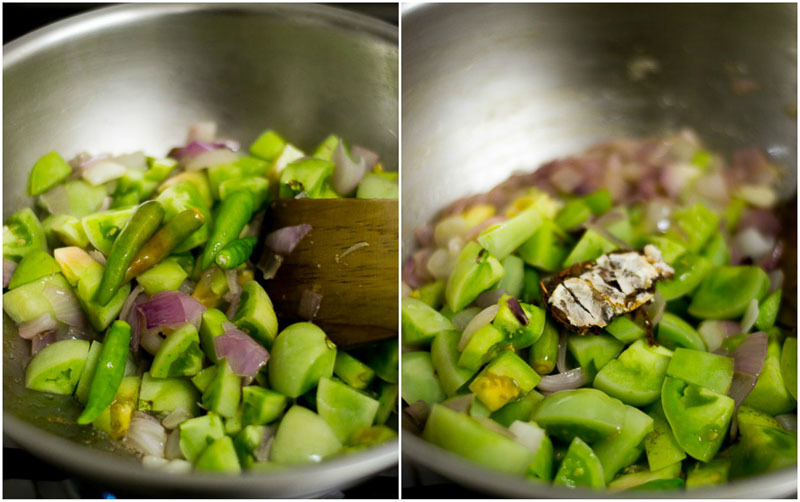 Add in the green chillies, salt, jaggery and the tamarind. This seems like a very delicious food. Hopefully this turns out great!